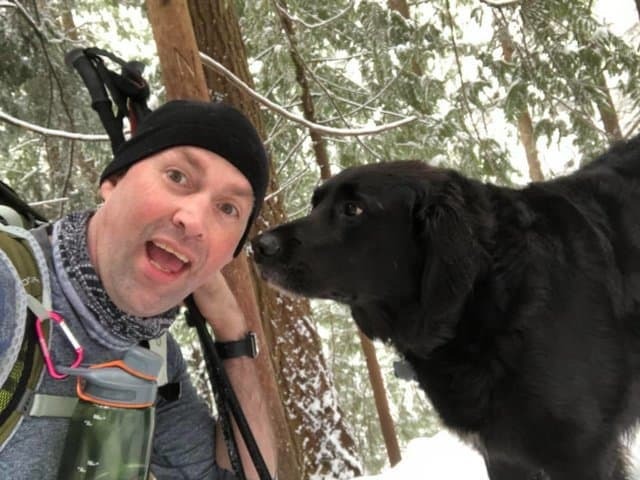 When Scott Brown and his wife set out on a hike up the snowy Teneriffe Falls in Washington, they didn’t expect to have a third companion on their journey. 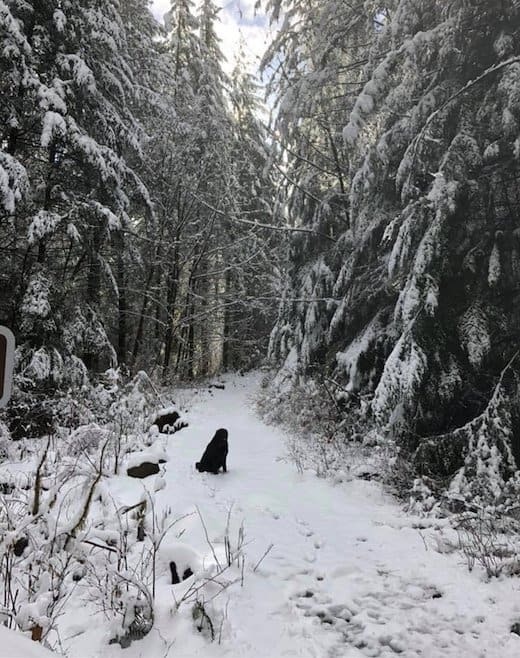 As the couple began their 7-mile trek to the waterfall, they noticed a large black figure ahead of them in the snowy woodland. 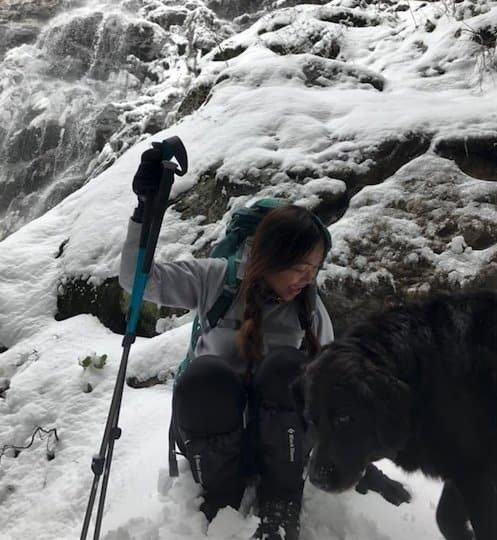 Initially, they thought it was a bear, but as the figure drew closer they were relieved to discover it was just a black, fluffy dog. 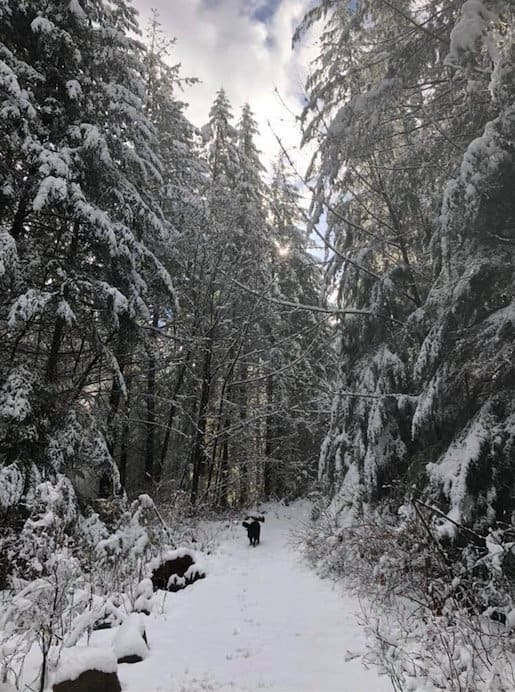 The calm dog continued to follow the couple on their snowy hike, leading them through patches that they were unsure of. The pup clearly had done the hike before. He even waited for them and understood their dilly-dallying as they took photographs. He took the lead anywhere from a couple feet, to way out in front, out of sight. He would sit and wait for us as we took photos and then continue on when we did. By the time they reached the waterfall, they had become good friends with their new companion. As they rested at the waterfall, Scott decided to use this opportunity to get better acquainted with the dog. Noticing a tag on his collar, he got a closer look. Perhaps this dog was lost after all, and not a stray. 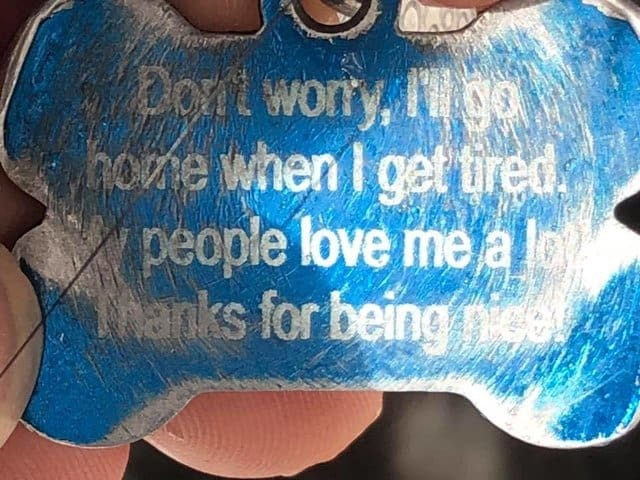 But when Scott read what was on the collar he knew that everything was totally fine. Scott and his wife now felt quite special. Out of all the hikers that day, Smokey the dog had chosen them to embark on an adventure with. After admiring the waterfall, the trio made their way back down the mountain, with Smokey leading the way yet again. Upon arriving back on the trail where they originally met Smokey the dog, they noticed a neighbourhood in the distance. If that was where Smokey lived, then what a perfect place for Smokey, with such a wonderful ‘backyard’. He stayed in the lot until we were all changing near our cars and he calmly walked across the road and back into the neighborhood. At the corner, he gave out a quick bark at us then continued on back home, I assume. 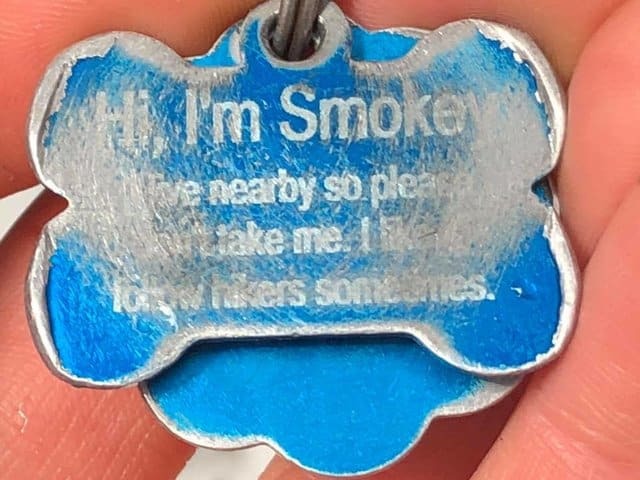 There are some experiences in life that you don’t forget, and undoubtedly, their chance adventure with Smokey the dog was definitely one of them. ‘Til next time Smokey!